Equipment produced by "Creed and Company". British manufacturer of teleprinter machines (often described as 'telex', but this is the network over which the machines work). 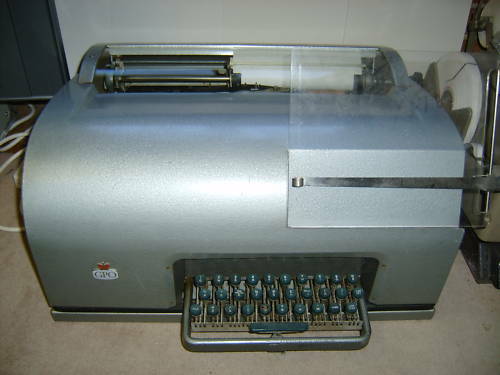 First model appeared in 1924 and the company (as part of ITT) continued to make teleprinters until the late 1960s.